Tenor size with cutaway. All mahogany with abalone rosette and satin Edgeburst finish, and preamp. 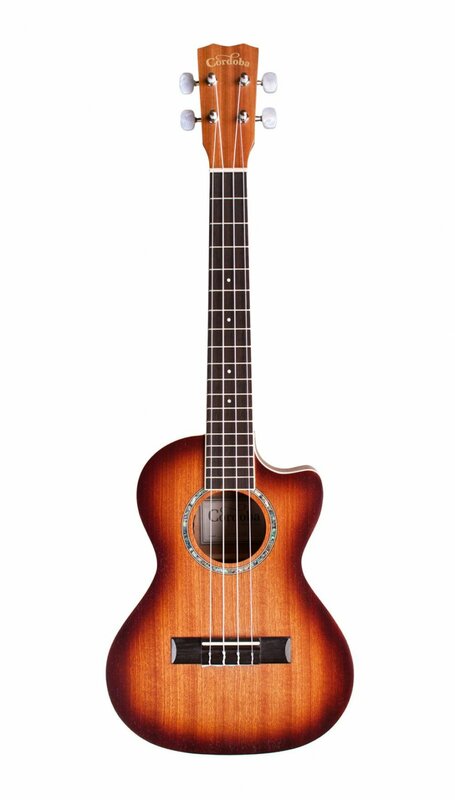 Cordoba’s best-selling series offers the perfect point of entry for those looking to pick up the ukulele. These handmade ukuleles feature mahogany top, back, and sides , abalone-style rosette , ivoroid body and fingerboard binding , sleek satin finish, silver tuners with pearl buttons, and premium Aquila strings. They are available in soprano (15SM) concert (15CM) and tenor (15TM) sizes. It is also available in concert size with an edge burst finish and pickup (15CM-E EB).